Wiz Khalifa at Fifth Third Bank Stadium for KSU’s Homecoming Concert. Photo by Sonia Ojeda. Fifth Third Bank Stadium is a world-class, 8,3000 seat facility and the signature athletics landmark on Kennesaw State University’s campus. It officially opened on May 2, 2010 and has since garnered national recognition as one of the premier multi-use outdoor athletic facilities in the country. The stadium, located on 21 acres of land, lies between George Busbee Parkway and the I-575 overpass on Big Shanty Road. 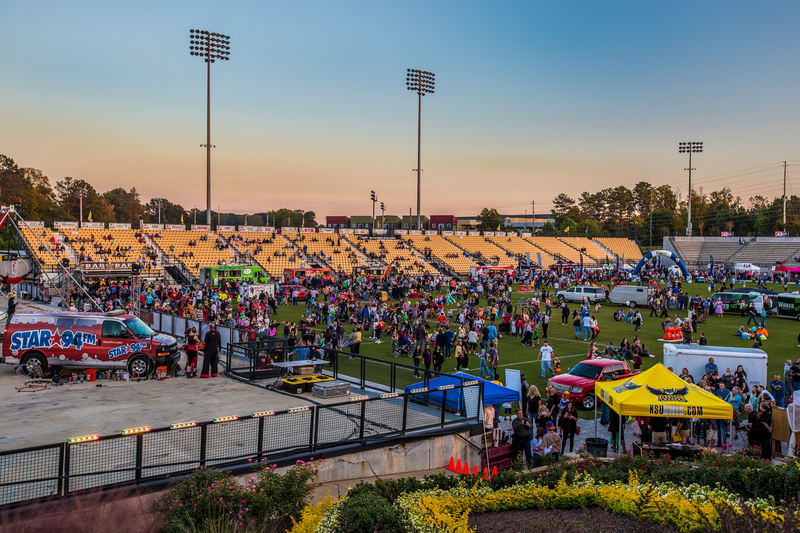 Since it’s opening in 2010, the stadium has been home to the Atlanta Beat of Women’s Professional Soccer league, and Kennesaw State women’s soccer and lacrosse. Come fall of 2015, it will also become the official home of Owls football when the program opens its inaugural season. The bowl-shaped stadium features a prominent stage deck located on the north end and is the the central feature of the Sports and Recreation Park. The park also features seven competition fields, a practice facility, NCAA regulation track and sand volleyball courts, a nine-acre lake and one-mile walking trail. In addition to KSU Athletics the Park supports general KSU events, intramurals, club sports and student programs. The stadium also hosts community events such as concerts, tournaments, festivals and sporting events. 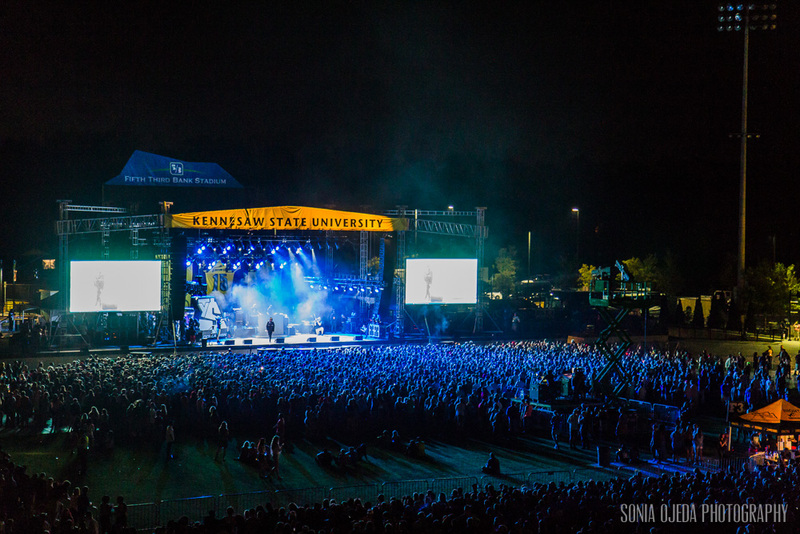 Wiz Khalifa performed at Fifth Third Bank Stadium earlier this year for KSU’s Homecoming concert, which produced a great turnout of students and members of the community alike. The park also hosted KSU’s Owl-O-Ween Hot Air Balloon Festival for the 2nd time this year. Owl-O-Ween is a Fall event fun for the whole family with hot-air balloons rides, fire breathers, stilt walkers, art vendors and more! Owl-O-Ween 2014. Photo by Taylor Wallace of iWally.